When I think of living soulfully, I think of something sort of unique and handmade, not mass produced. But I think we can stop living soulfully. I think we can start living in a mass-produced way. And when we do that, we actually lose ourselves. God has this incredible dream. He wants you become the-best-version-of-yourself. It’s an astounding dream when you think about it. It’s the dream every parent has for their children. They want them to reach all their potential, to become all they can be, to become the-best-version-of-themselves. Of course, every day I make decisions that don’t help me become the-best-version-of-myself. I wrote this stuff—I write this stuff. But that’s the struggle we have with our humanity, right? You’ve got your things you’re struggling with, I’ve got my things I’m struggling with. And guess what? Every single day, I do things that I know, when I’m doing them, will not help me become the-best-version-of-myself. And sometimes when people want to change something in their life, they’ll focus and focus and focus on the behavior they want to stop doing. And that tends never to work. Bad habits need to be crowded out of our lives with good habits. So if there is something you want to stop doing, you’ve got to crowd it out with other good things that do actually help you become the-best-version-of-yourself. 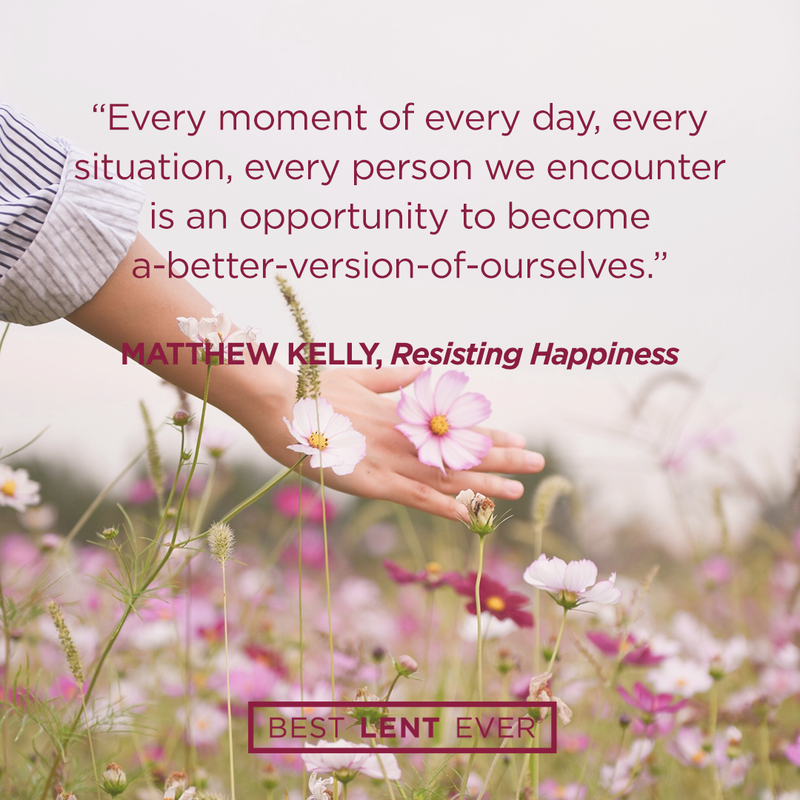 The reason that I think it should be important to us, well one of the reasons (because there’s obviously many reasons), but one of the reasons I think it should be really important to us is because when we’re striving to become the-best-version-of-ourselves, we tend to be living soulfully. You know when you’re living soulfully, and you know when you’re not. But when we’re striving to become the-best-version-of-ourselves, that’s when we’re most fully alive. Jesus said in John’s Gospel, “I have come so that you may have life and have it to the fullest” (John 10:10). Do you have that kind of life? Do you feel like you’re having life to the fullest? Do you feel like you’re experiencing life to the fullest? Do you feel like you’re becoming the-best-version-of-yourself, to the fullest? Because that’s what God wants for you. And I think deep, deep, deep down, none of us want to live a sort of generic, manufactured life. I think deep down, all of us, every single one of us, want to live soulfully, in a way that is really beautifully handmade, and unique, and just us. And guess what? God wants you to live soulfully like that as well. Some things you do help you become the person God created you to be, and some things don’t. In each moment of each day choose the-very-best-version-of-yourself. Ask yourself, “Is what I am about to do going to help me become the-best-version-of-myself? Jesus, I want to live soulfully. Help me approach each day with energy and enthusiasm so I can become a-better-version-of-myself. Today’s personal reflection features Dynamic Catholic team member Ben Skudlarek. Ben is our design manager, coming to us from Alexandria, Minnesota. Ben will do pretty much any outdoor activity (especially if it involves snow), enjoys playing games and wrestling with his four children, and loves all food. In what area of your life is God inviting you to become a-better-version-of-yourself?